The practice of harvesting rainwater is increasing among homeowners across the U.S. as more cities put watering restrictions in place and families become more environmentally conscious. This eco-friendly practice is actually quite affordable and can be simple to implement at your home. If you’re wondering what’s involved in setting up a harvesting system, we have the answers for you. For over 2,000 years, people have been harvesting rainwater to drink, water plants, wash clothes, bathe and provide water for their animals. Rather than walking to the local stream for water, buckets placed beneath the roof’s drainage sent the water into collection barrels, saving considerable time and effort. 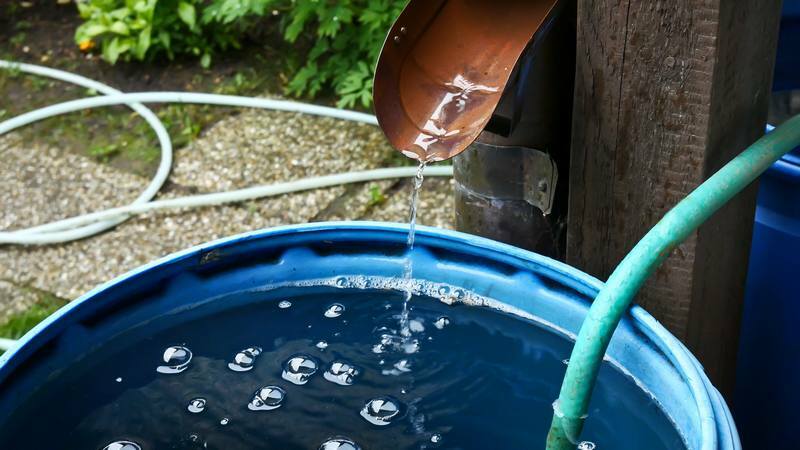 Today, few people use rainwater as their drinking water or to wash clothes, but it’s still an excellent option for watering plants and other outdoor uses. A rainwater harvesting system isn’t expensive to set up, nor is it complicated. All you need is a barrel, spigot, netting and the downspout from your gutter. The netting serves two purposes: one is to filter the water going into the barrel so that you don’t end up with leaves or other debris in your water. Second, it keeps bugs from laying eggs in your water supply. If you have gutter protection products installed on your gutters, you won’t have to worry as much about leaves making it into your rain barrel. 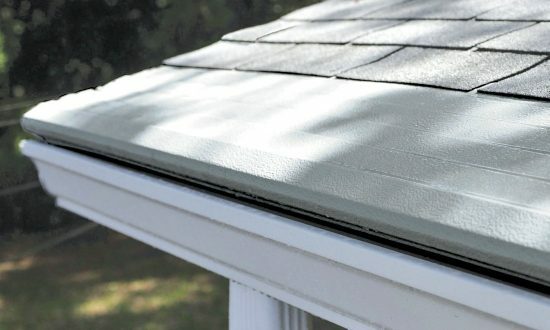 If you’ve asked, “Do gutter covers work?,” just talk to someone who has a rainwater harvesting system and they’ll likely tell you about the added work they’d have without them. If you’d like to take better advantage of all the benefits of harvesting rainwater, there are companies that install more complicated systems. Some have underground storage and pumps, and can even be integrated into your existing water supply. The more sophisticated the system, the more expensive, but the greater savings. How Much Water Can I Really Save by Harvesting? Local rainfall. Of course, the more it rains on consecutive days, the faster your storage will fill, and the longer you’ll go without needing to water. The area of your roof. If you’re just planning on one barrel, look at the roof area that the gutter system covers. Although the calculations aren’t exact, if you take the square footage of that part of your roof, you can determine how many gallons you’ll get with your annual rainfall. Here’s a link to a simple calculator. Space available for storage of the water. Your municipality or HOA may have restrictions on rainwater harvesting or barrels on your property. Check before you make your purchase so you don’t waste your money, time and effort. Of course, you’ll see some benefit in that you’ll be saving money on your water bill. You may also see less erosion in your yard as the water isn’t running down your gutters and into your garden or yard. That may equate to savings in time and additional mulch. More than that is the environmental impact. Rainwater that runs off your roof, into your yard and eventually into the sewer system collects chemicals from your driveway and yard that can harm aquatic life. Cutting down on polluted water that enters storm drains and eventually flows into local lakes and rivers benefits everyone. Before you get started on your rain harvesting system, look into gutter protection products to reduce the debris in your system. You’ll find that not only do gutter covers work for keeping debris from your harvested water, they also come with many other benefits including not cleaning your gutters and reducing ice dam build-up. If you’d like to be connected with your local Gutter Helmet installer, call (800) 824-3772 for a free estimate.